I preordered this book as soon as I heard about it. I absolutely adore Holmberg’s The Paper Magician book series, so naturally I had to read the next thing she wrote, which just so happened to be a retelling of a fairy tale– my weakness! This book is an amazing detailed coming of age transformation of a once spoiled and conceited girl. Do I think that Smitha deserved the curse she received? Not really. Do I think she grew because of it? Absolutely! Not only does Smitha learn how to rough it and try to take care of herself but she learns about other cultures, other languages, and learns that even when cursed, there is always a way to help others. While I did adore this book, I wasn’t completely pleased or satisfied with the ending. 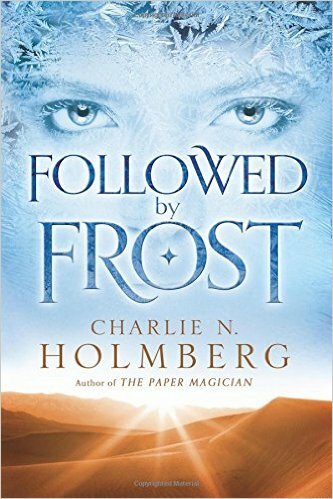 There is more to life than what Holmberg’s conclusions, both of this novel, and of The Paper Magician seem to suggest. Charlie N. Holmberg has a BA in English with a minor in editing. She likes Star Trek and hopes to someday own a dog. She is married and has a child. 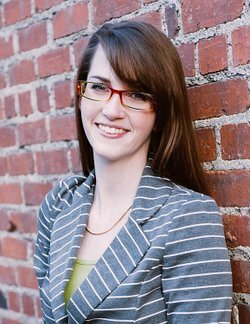 The Paper Magician was her ninth book, but first to get published. For more information on Charlie N. Holmberg, see her author page or go to her website.